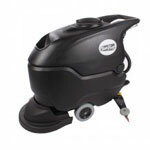 The steel planetary transmission and polished aluminum/steel construction are what give this machine its very professional appearance, giving the customer confidence in your cleaning abilities. You can use this dual capacitor floor scrubber to perform a large variety of jobs, from carpet scrubbing to floor buffing. 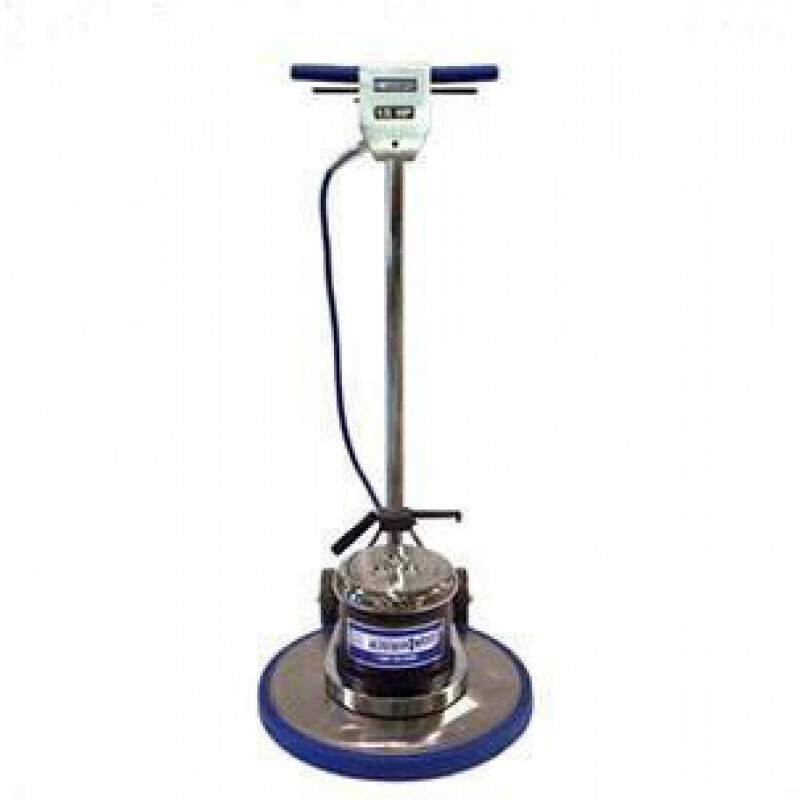 Slap on one of our shampoo solution tanks to be able to dispense floor scrubbing solutions wherever you go. Never again will have to stop what your doing to go pre-spray another area. Just continue what you're doing, and pull up on the gravity fed stopper to dispense your chemicals as you're scrubbing. The low speed setting on this dual speed machine is great for scrubbing, where as the higher speeds are great for buffing. That's why it's been such a successful seller for us, because it can do the jobs of multiple machines. It won't produce the same results as one of our high speed floor polishers, but it will definitely produce a higher shine than one of our low speed rotary scrubbers. Use this versatile machine on just about any application! Always test in an inconspicuous area before doing large areas. Includes a 3 year commercial warranty. All steel planetary high speed transmission. Extra thick, chrome plated fully adjustable handle. Non marking wrap around bumper. DC rectified 1-1/2 HP motor provides low amp draw. 50' 3 wire special low temperature vinyl jacketed cable type ST molded plug. Switch is located on apron to transition from low to high speeds.